Had friends over for dinner last night and sous-vided (that's a verb by now, right) a pork tenderloin for the second time. That may become my go-to main course for company. So simple, cooks perfectly, and it gives me an excuse to show off the immersion circulator. 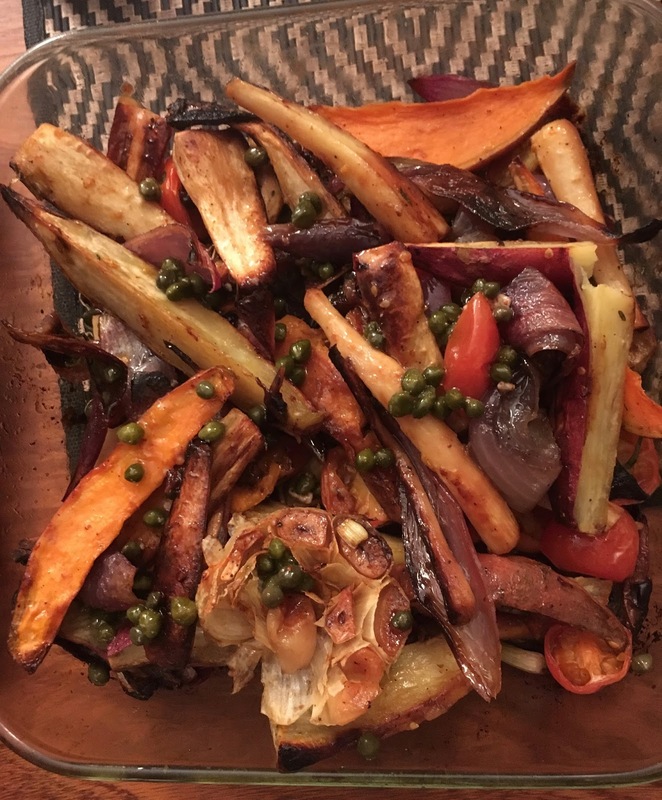 Anyway, to balance the easy main, I broke out Plenty and made Ottolenghi's roasted vegetables with vinaigrette. 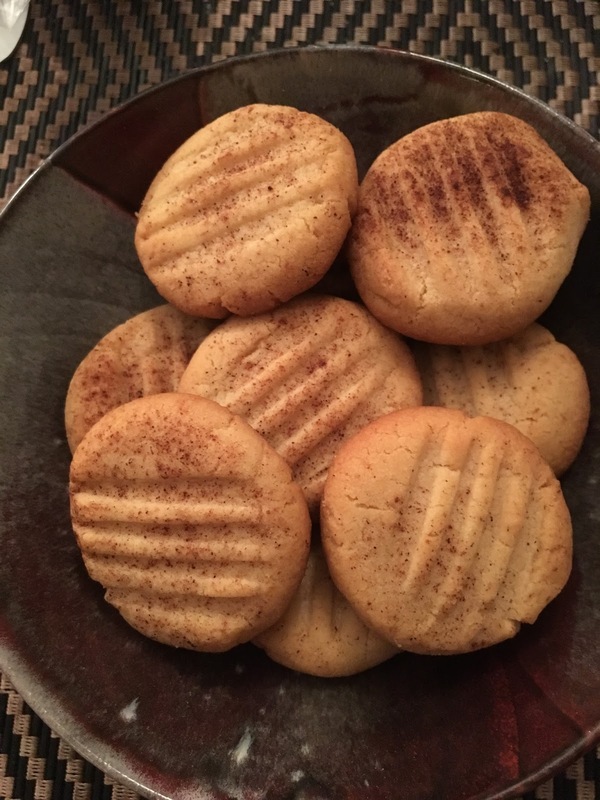 I had an mild disagreement with a friend recently who complained that his recipes are too involved and she finds herself cutting corners when she makes them, with results that are just about as good. To which I say, is that a criticism or a compliment? In my mind, if a recipe inspires you to combine flavors you might not have otherwise, or try a new technique, then it's done its job. I expect that any of us who are good cooks automatically adapt or alter just about any recipe we make. Add more of a favorite vegetable, substitute away from an herb we're not partial to or don't have on hand. Reduce the salt or butter or whatever. Or change it if something doesn't quite make sense--for example this dish called for 4 red onions, which can't possibly be right--are American red onions way bigger than British ones? Ottolenghi encourages adaptation and alteration -- he usually suggests ways to change or simplify himself in the recipe intros. Anyway, red onion overload notwithstanding, this is a terrific recipe. I roast vegetables just fine, thank you (in addition to red onion, this combined sweet potato, parsnip, cherry tomato, and a whole head of garlic along with sprigs of rosemary and thyme). But I've never bothered making a dressing for them before. Ottolenghi tosses these with olive oil, lemon juice, capers, maple syrup and Dijon mustard. Which I almost certainly would not have thought to combine on my own, but wow. So much flavor, and yet without overwhelming the inherent flavors in the vegetables. I can't wait to try this again, and I'm actively looking forward to tweaking it. And as with so many of his dishes, it's beautiful--great color and gusto and verve, and half a head of garlic always adds visual as well as flavor appeal. And it combined super-well with the pork, too. I did a variation on his spinach salad with dates, nuts, and pita croutons, which I've made so many times I don't even look at the recipe anymore. At this point, I think I can claim it as my own, or at least a "Joetolenghi" creation. Finally, because I was feeling ambitious, or maybe because I opted not to bake bread, I also whipped up a batch of his Tahini Cookies, from Jerusalem. Exactly as one might expect, they are peanut butter cookies meet halva, a very shortbready sort of crumb with a really nice sesame flavor. About as simple as could be to make, and yet impressively unusual and tasty just the same.